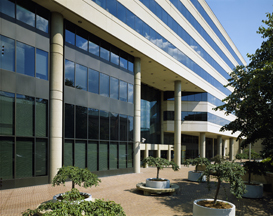 J Street specializes in agency leasing services in Washington, D.C., Northern Virginia, and the close-in Maryland suburbs. By focusing on the long-term interests of our clients—in addition to immediate leasing needs—we have won the respect and repeat business of high-profile owners, including Kondobo, RREEF, New York Life, Starwood Capital Group, Penzance and The Bernstein Companies—to name just a few. Tenants we have represented include Battelle Memorial Institute, American Bar Association, EDS, Eli Lilly, Deloitte & Touche and the law firm Davis Wright Tremaine among many others. Our expert leasing team has a reputation for its sophisticated approach to the commercial real estate business. Combined with unparalleled information systems, our in-depth knowledge of the marketplace enables us to analyze an asset from the perspective of an owner, and develop creative strategies for enhancing its value. For a complete list of J Street's commercial leasing personnel, click here.